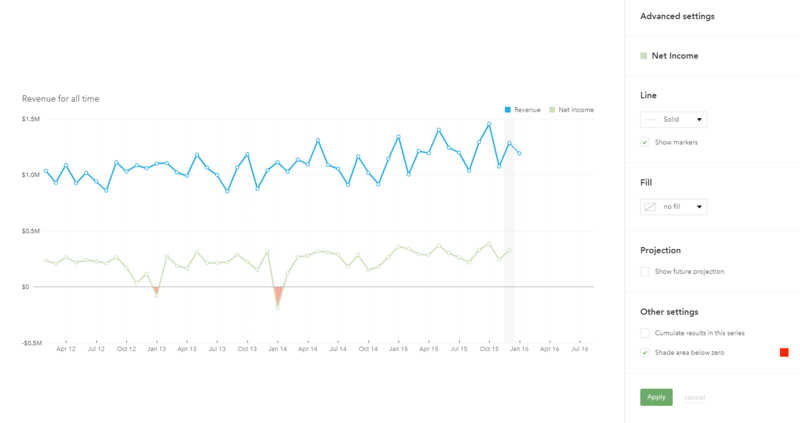 Trend charts are useful for tracking business performance over time. 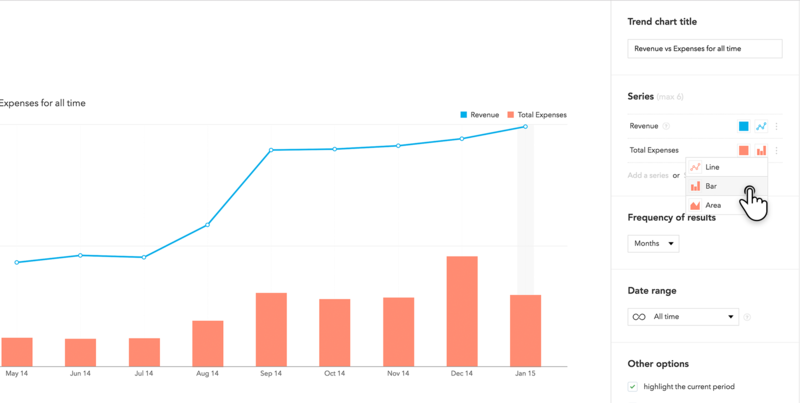 In Fathom, you can use trend charts to compare any KPI, any item from the financial statements, or any account from the Chart of Accounts. 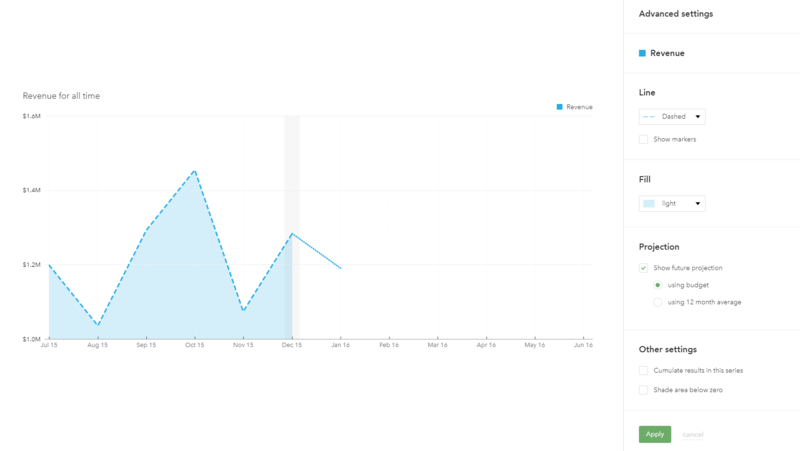 To add a trend chart, click the '+' button in the Report Editor. 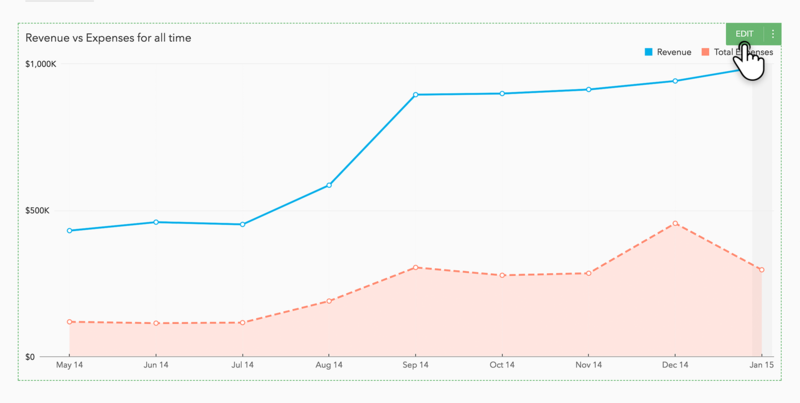 Use the 'category' drop-down menu in the top right of the Content Library to filter and find your desired chart. 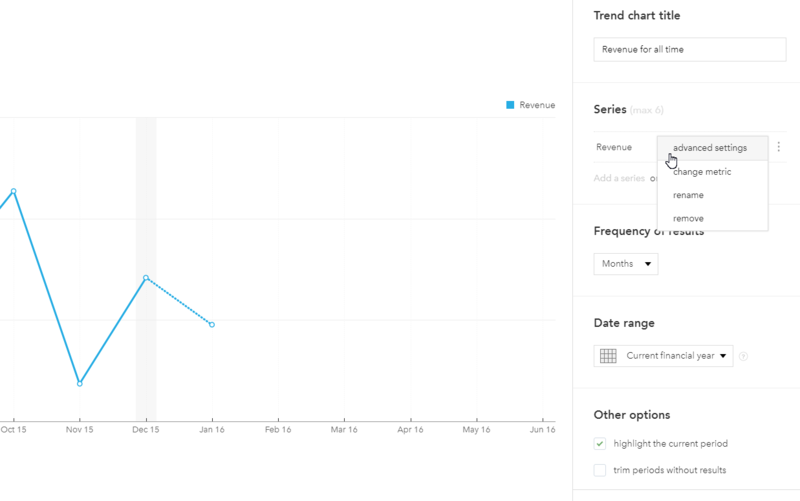 Any trend chart you add can be easily customized to your liking. 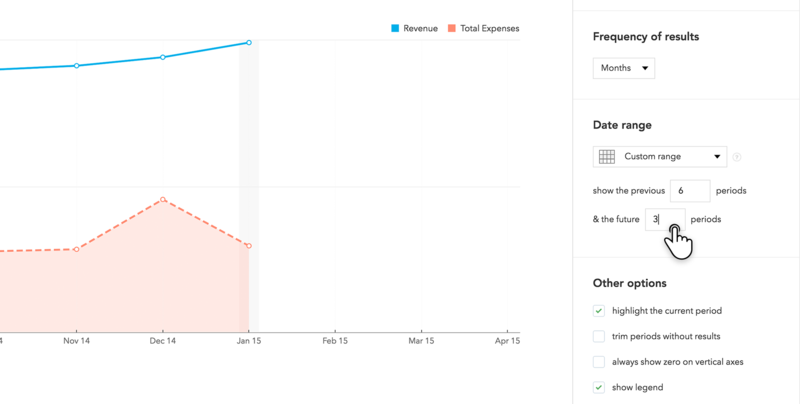 Simply hover over the chart and click 'Edit' to bring up the properties panel. 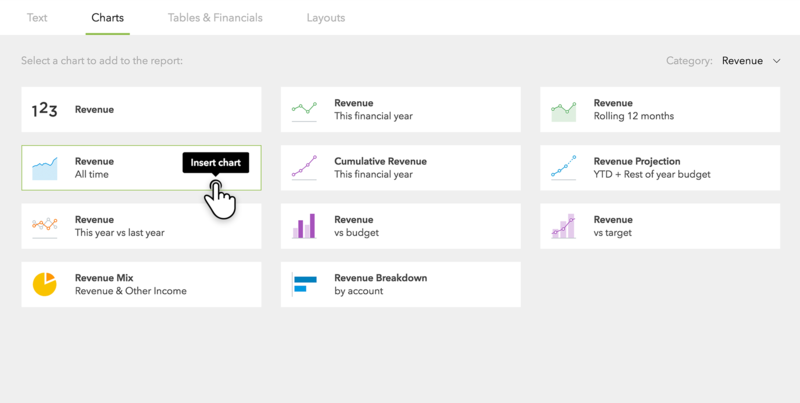 From the properties panel, you can customise the charts title, the series included in the chart, the frequency of results, and the date range. You can also customise other settings relating to the visual presentation of the chart such as colours, lines styles, and fills. You can add a maximum of six series to your chart. Depending on the purpose of your chart, there are two options to choose from when adding a new metric to your chart: add a series (another metric) or show a comparative. You can choose to add any of the following as a series; any KPI, any item from the P&L and Balance Sheet, or any account from the source Chart of Accounts. You can add a comparative series by selecting 'Show a comparative'. This is useful for comparing 'actual' against 'target' or ‘budget’. It is only possible to show comparatives for series which have been included in the chart. You can select a custom date range in the properties panel. This will give you full control over the periods included. You may choose to show future periods from budgeted or projected data (using the rolling average). You can also highlight the current period, trim periods without results, and choose to show or hide the legend on the chart. You can 'combine' two types of charts to create unique visualisations. For example, you may wish to use both a line and bar graph in the one chart. Click the 'line' icon next to a series to change its type. 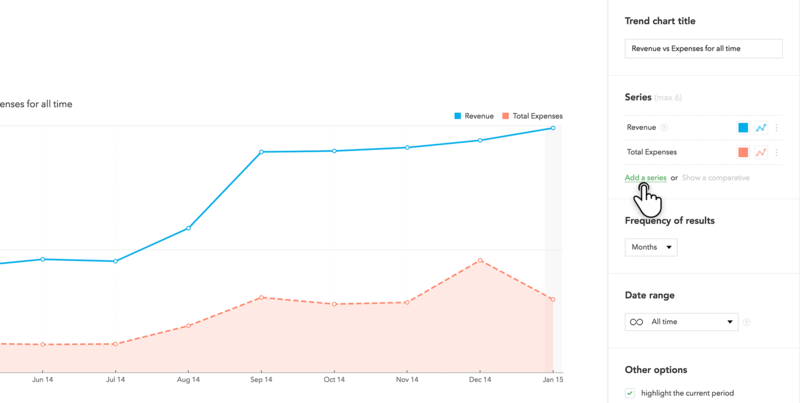 You can combine all three (line, bar, or area) chart types within one chart. Each series in a chart can be further tailored within the 'Advanced Settings' for that series. You access these using the three dot menu next to the series colour and type. The advanced settings panel will slide in from the right.